Electronics Electronic components related to the new 2016 Nissan Titan. Nissan Titan Forum > 2nd Generation Nissan Titan Forum > Electronics > Light Bar in Grill? Has anyone installed a light bar behind the grill? Im wondering if it would be a bad location as it would be directly in front of the radiator. Thoughts? 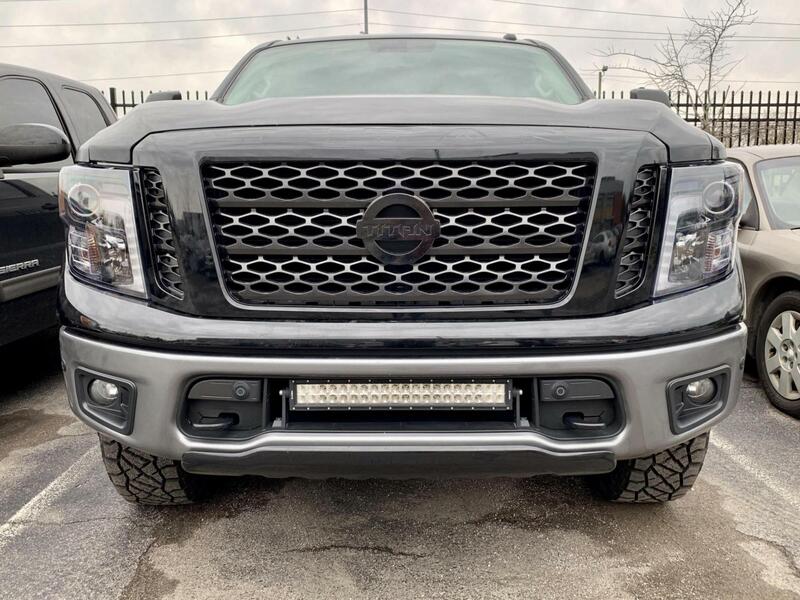 2017 Nissan Titan Pro-4X - Project "Dark Knight"
Re: Light Bar in Grill? I did the same as BIGSTUF. I've read horror stories on getting the grill removed. If you do the grill removal let me know how it went, I need to replace one of my headlight because of condensation. an hour isnt too bad, might take a stab at it. thanks!